Region 6 Championships, 2nd level, test 3. Very exciting to see GF Relampago, “Bolt”, featured in an article about a young rider in The February 2018 issue of Western Horseman. 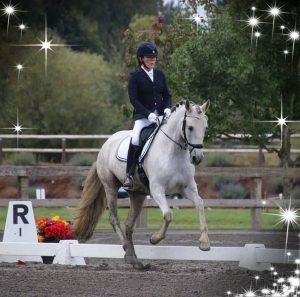 What a beautiful boy all decked out in silver…Congratulations to both horse and rider! 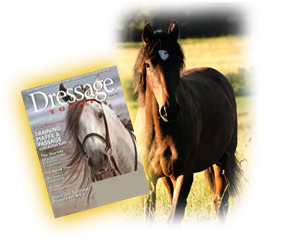 We are pleased to note that a photo of GF Ariana “Ari” was featured in the August 2010 issue of Dressage Today. 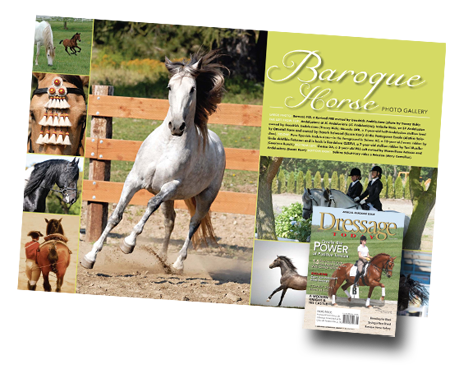 It was our great honor to have photographs of two of our mares selected by Dressage Today to be featured in their August 2009 Issue. Barossa FCF and GF Isabel Rosa were both included in the annual Baroque Gallery.